I just found this great deal. It's reduced from £527.99 to £489.99! You can get it from www.ebay.co.uk. The new super powerful Note. The redesigned, Bluetooth enabled S Pen is the ultimate extension of you, so you can use it to take photos from up to 10m away with a simple click for perfectly posed, fullbody selfies. Or impress in the boardroom and give a presentation on your device using the S Pen as a sleek slide clicker. And when inspiration strikes, you can scribble down any thoughts or sketches instantly with the Screen Off Memo feature. 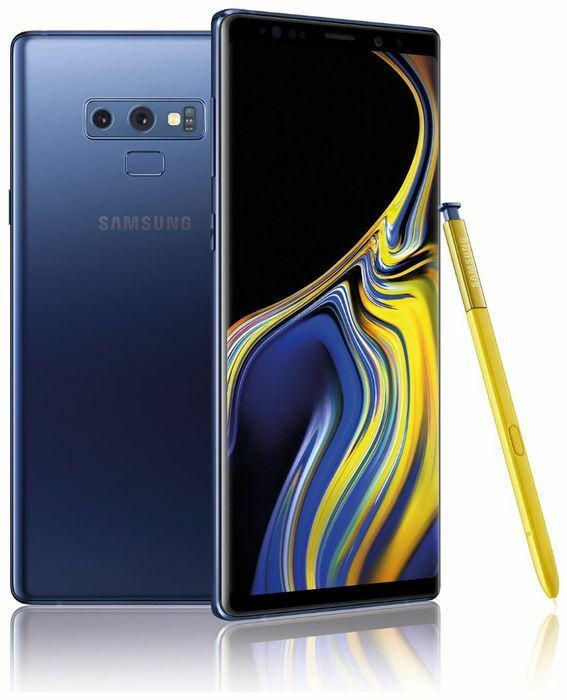 With a battery that charges faster and lasts longer, the Note9 is up for whatever you are. The Note has Dual Aperture which adapts like the human eye to give you crystal clear pics day or night. Or prone to blinking? No problem. Flaw Detection will give you a heads up to imperfections, including closed eyes or blurring. Great deal with excellent price!